How do you know if he's not the worst if you have never seen his dramas???? For your question about Suzy, for someone who really can't stand her (she just rubs me off the wrong way acting wise and otherwise), she's better than him and that's not saying much. It looks like So Yi-hyun is back to second lead territory after headlining recent cable ghost-seeing drama Who Are You. She’s been cast as the rival and frenemy to Jeon Ji-hyun in her new alien time travel fusion rom-com Man From Another Star, starring Kim Soo-hyun as the alien. Because yunno, those looks aren’t from Earth. There’s a little more character information too, which makes me look forward to the show. But who’re we kidding. You had me at aliens and Kim Soo-hyun. The new rom-com from the writer of hit weekend drama You Who Rolled In Unexpectedlyand the PD of Tree With Deep Roots stars Kim Soo-hyun as an alien who crash lands on Earth in 1609 Joseon (the first year of King Gwanghae’s reign), in a flying object that makes it into the Annals of the Joseon Dynasty. Ha. He remains in Joseon for the next four hundred years until the present day, where he’ll meet Jeon Ji-hyun’s character, an actress described as a “supremely rude Hallyu goddess.” Hee, I think I’m going to like her. It sounds like it has all the setups of a noona romance, except for the part where he’s (at least) a dozen times her age. So Yi-hyun will play Jeon Ji-hyun’s frenemy since junior high, a Harvard graduate announcer from a family of prominent lawyers. She’s never lost first place a single day in her life when it came to her schoolwork, but she has one complex in life: being less pretty than Jeon Ji-hyun and losing her first love to him when they were teenagers. It sounds petty in a fun way, since I’m anticipating wacky alien rom-com hijinks, not dark backstabby rivalries. Kim Soo-hyun should just do like the Vampire Idol boys did and bring a whole posse of alien pretty boys with him from his planet. Then the girls could just share. Man From Another Star follows Heirs and premieres in December on SBS. cassopeia said: @livEvilNo, I just think a good drama depends on many factors than only a not so good actor as second lead. It also depends how much the writer makes use of the character or more importantly how GOOD the writing is. I haven't seen a single drama of him, so I can't be confident in his acting because I can't judge his acting myself. It don't like political dramas so I didn't watch Yawang. I just didn't get why all the hate of a sudden, he's definitely not the worst idol actor ever. I mean, did you watch Yawang? Was he worse than Suzy? I'm curious. I am a Cassie since like DB5K started but seriously Yunho is bad in acting. I think he should get supporting roles first, 2nd lead is still a big deal especially if you're gonna act alongside with great actors & actresses. I'm not against his casting just for this drama alone but it's also for his sake, imagine the hate and bashing he'll get from netizens when he doesn't live up to their expectation. Kim Soo Hyun and Jeon Ji Hyun will eat him alive and in order to satisfy the audience he has to be atleast on par in terms of acting w/ them. We all know how netizens could be so harsh and seeing as there were so many against his casting now... as a Cassie i seriously don't wanna see him get skinned alive by the netizens, viewers & the critics. I would be fine w/ him being 2nd lead if the main leads aren't Kim Soo Hyun & Jeon Ji Hyun who not only are great actor & actress but both have a huge fanbase as well and we know that a lot of fans esp. in korea is anticipating their return to the small screen after their success on the big screen. So for his own sake & this drama as well it's be better not to accept the role. @cassopeia Suzy's acting don't impress me much as well but if i have to choose who is better in acting it would be Suzy. I think she improve a bit in Gu Family Book though i still don't consider her acting good. If they wanted a DB5K members or a popular idol overseas it would have been better to get Yoochun, his acting might not be on par w/ KSH & JJH yet but atleast his acting is far better than Yunho and his also one of the good acting-idols. Not only that but since their are aiming for popularity overseas (well assuming that is the reason) he still would be a better choice since his popular for his idol status and his also popular as an actor since SKKS, Rooftop Prince & Missing You are all popular overseas. But even though Yoochun is good in acting i still don't want him in this drama, i actually wanted him to go back to rom-com too as well like RP. I prefer this drama to not have any idols but if they really really wanted to have atleast 1 idol here, please pick a good acting-idol. Man From The Stars!!! NATION DRAMA written all over it. Go SooHyun!!! So, remember that second lead role in the upcoming my-boyfriend-is-a-400-year-old-alien drama starring Kim Soo-hyun and Jeon Ji-hyun that was originally supposed to be played by So Yi-hyun? The producers have announced that the casting wasn’t final before, and Yoo Inna (You’re the Best, Lee Soon-shin) will be taking the part instead. Well, I don’t know what made them switch gears, but I much prefer Yoo Inna in the role, even if she’s already had a time-traveling Joseon boyfriend before. Maybe she can give Jeon Ji-hyun some pointers on dating a hottie from another century. The new SBS Wednesday-Thursday drama has tweaked its title a little bit to My Man From Another Star (or more literally, My Lover From Another Star, though I think we’re safe in assuming Kim Soo-hyun is the star-traveler referred to in the title, since he plays the alien and all). It comes from the writer of You Who Rolled In Unexpectedly and the PD of Tree With Deep Roots, and stars Kim Soo-hyun as an alien who crash-lands in Joseon in 1609 and lives to the present day looking exactly the same. Jeon Ji-hyun plays the top actress with a diva complex that he’ll fall in love with. The drama was already pretty damn close to Queen Inhyun’s Man, but now with Yoo Inna joining the cast, my drama worlds are in danger of colliding. She’ll be playing the heroine’s rival since junior high (when Jeon Ji-hyun stole her first love, natch), and they’ll have a competitive frenemy relationship through adulthood. This part is harder to believe: she’ll be a Harvard-grad announcer, who’s never lost first place to anyone in school. Pffft. Okay, if I can believe that Kim Soo-hyun is an alien, I suppose I can give you that. My Man From Another Star follows Heirs and premieres in December. Media reports earlier confirmed the appearance of actress So Yi Hyun but HB Entertainment denied it, stating that they are still considering other candidates for the role of Yoo Se-mi, the rival of Cheon Song-yi (Jeon Ji Hyun). In the drama, Yoo Se-mi grew up in the family with legal professions and a top student in her school. A beautiful woman but having an inferiority complex towards her female friend from junior high school Cheon Song-Yi (Jeon Ji Hyun), who also stole her first love. “Man From The Stars” is a fictional romance drama based on the author’s outrageous and absurd imagination on the haunting story about flying objects occurred in 1609 (Mine Reclamation, 1st year) which is recorded in the ‘Annals of the Joseon Dynasty’. Drama tells the miracle of the sweet youthful romance between an alien man named Do Min Joon (Kim Soo Hyun) who fell on earth 400 years ago and Korea’s top actress Cheon Song-Yi (Jeon Ji Hyun). It will be written by Park Ji Eun, who also penned the script of KBS ‘You Who Rolled In Unexpectedly’ and to be directed by Jang Tae Yoo, the critically-acclaimed director of ‘Tree With Deep Roots’. ‘Man From The Stars’ is expected to have its first broadcast on December following the conclusion of ‘The Heirs’. Anorther rumour about second lead?? Actor Pak Hae Jin has joined the upcoming SBS drama “My Lover From The Stars” (previously Man From The Stars) starring Jun Ji Hyun and Kim Soo Hyun. According to his agency WM Company, actor Park Hae Jin who recently returned from various works of appearances in China, have decided to appear in SBS ’My Lover From The Stars’ after painstakingly reviewing the proposal and took part in the first script reading held last weekend. In the drama, Park Hae Jin will play the role of a man working on Finance and Economy who will become the biggest hurdle to Cheon Song-Yi and Do Min-Joon couple played by Jun Ji Hyun and Kim Soo Hyun. It’s his first time to play a villain role since his debut as an actor. Park Hae Jin previously starred in KBS highest-rated weekend series “My Daughter Seo-young” which ceased production on March. He has returned home last October after working for a while in China and was currently relaxing and preparing for his next project. Kim Soohyun, Jeon Ji Hyun, Yoo In Na and Park Hae Jin. So excited to watch this! But that's not the second lead spot. I thought the second lead was supposed to be the fiancée of the lead female. So even if he's in, he will be playing a different character. I like the guy. I loved him way more than the male lead in MDSY. 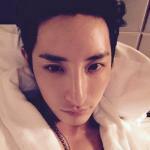 At least, he can act lol Well so far, I like those casting news of him and Yoo In Na. I'll be still praying that the other sticks to music and don't ruin this for me. More good news for alien rom-com My Man From Another Star: right on the heels of the announcement that Yoo Inna would be joining the cast, it was rumored that Park Hae-jin (My Daughter Seo-young) was also considering. He’s since confirmed that he’ll be signing on. But lest you assume this means that Yunho is out of the running (which is frankly the first thing I thought with a sigh of relief), it isn’t. Yunho is still unconfirmed, but Park Hae-jin is slated to play his older brother. Uh… how many second leads will this drama have, exactly? 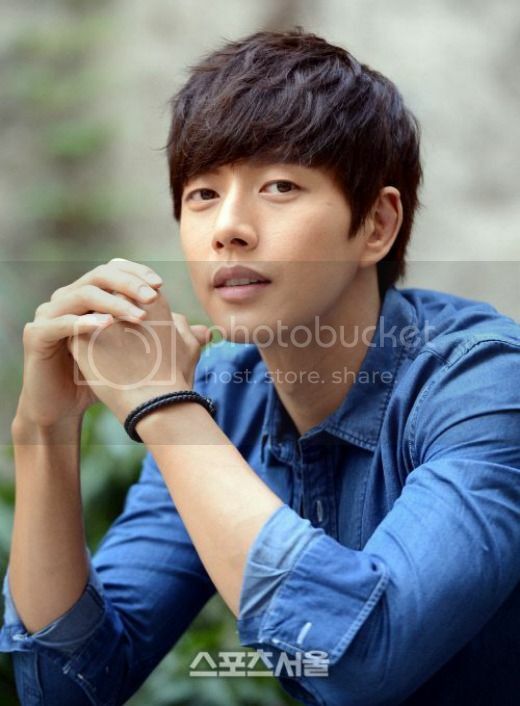 Park Hae-jin in "Man From the Stars"
Actor Park Hae-jin is starring in the SBS drama "Man From the Stars". He takes on the role of Lee Jae-kyeong, a son of a rich family. "Man From the Stars" is a faction romance drama with added randoms and imaginations based on an original novel. This drama deals with the miraculous love story between Do Min-joon (Kim Soo-hyeon-I), a character who's traveled 400 years into the present and Cheon Song-I (Jeon Ji-hyeon), a spoiled Hallyu star. 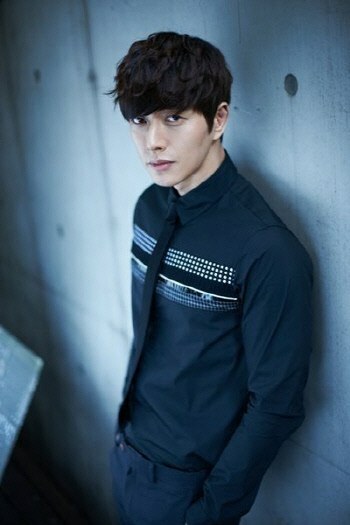 Park Hae-jin is Lee Jae-kyeong, the son of a wealthy and intelligent family and the fiance of Cheon Song-i. Meanwhile, "Man From the Stars" is written by Park Ji-eun and produced by Jang Tae-yoo. LOL at those different articles. One says he's the hyung of the fiancee and the other one says he's the fiancee. I'm hoping for the latter but which is which? Can he end up with Yoo In Na's character at the end then? I'll ship it!